If you would like to change your ‘how we contact you’ preferences please login to your account here. Using personal information allows us to develop a better understanding of our patrons and in turn to provide you with relevant and timely information about the work that we do – both on and off stage. As a charity (No. 1022754), it also helps us to engage with potential donors and supporters. Blackpool’s GRAND THEATRE (Arts and Entertainments) Ltd is a charity and is funded by [Arts Council England as well as] various trusts, foundations and individual donors and supporters. Our registered charity number in England and Wales is  and we are also registered as a company in England and Wales under registration number . For example, when you register on our website, buy tickets or donate, we’ll store personal information you give us such as your name, email address, postal address, telephone number and card details. We will also store a record of your purchases and donations. When you make a purchase from us or donate to us [gift Aid], you are entering into a contract with us. In order to perform this contract, we need to process and store your data. For example, we may need to contact you by email or telephone in the case of cancellation of a show, or in the case of problems with your payment. We use our legitimate organisational interest as the legal basis for communications by post and email. In the case of postal mailings, you may object to receiving these at any time using the contact details at the end of this policy or call the box office on 01253 290190. In the case of email, once opted-in we will give you an opportunity to opt out of receiving email during your first purchase with us. If you do not opt out, we will provide you with an option to unsubscribe in every email that we subsequently send you, or you can alternatively use the contact details at the end of this policy. To specific named visiting companies whose performances you have attended. In these cases, we will always ask for your explicit consent (to Opt-In) before doing so. If you use your credit or debit card to purchase from us or to donate, we will ensure that this is carried out securely and in accordance with the Payment Card Industry Data Security Standard (PCI-DSS). You can find more information about this standard here. A fee (£5 per named person request) is applicable for administration purposes only, we will inform you (in writing only, within 14 days) to the accounted listed address. Please note a request cannot be processed until payment is received. An individual can also request information about the reasoning behind any automated decisions, such as a computer-generated data, or an assessment of performance at work. 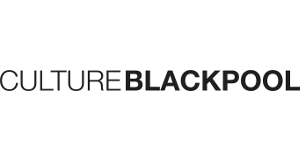 Blackpool Grand Theatre will process information provided by applicants for the management of their application and the subsequent selection process. This involves providing details to the short-listing and selection panels. Other details are kept helping fulfil our obligations (legally and reporting to our funding bodies) to monitor equality and diversity within the organisation and in the application process. We have appointed a Senior Information Risk Owner (SIRO) who is accountable for the management of all information assets and any associated risks and incidents. Deputy SIROs have also been appointed. All team managers are required to undertake annual Information Governance Training and are provided with an Information Governance User Handbook that they are required to read, understand and agree to adhere to. The handbook ensures that staff are aware of their information governance responsibilities and follow best practice guidelines ensuring the necessary safeguards and appropriate use of person-identifiable and confidential information. All our staff are also required to protect your information, and inform you of how your information will be used. This includes, in most circumstances, allowing you to decide if and how your information can be shared. Everyone working for the Blackpool’s Grand Theatre is subject to the common-law duty of confidentiality. Information provided in confidence will only be used for the purposes advised and consented to by the service user, unless it is required or permitted by the law. Access our gSound by clicking here. Our new sound centre offers great audio trailers, interviews and announcements. You can even sit back and enjoy our season brochure by audio. Please get in touch with us if you have any questions about any aspect of this Privacy Notice, and if you would like to object to any processing of your personal information that we carry out for our legitimate organisational interests.